SACRAMENTO (CN) — The country’s largest water district on Tuesday cemented support for Governor Jerry Brown’s contentious Bay Delta water project, agreeing to pay an estimated $4.3 billion, primarily through rate hikes on millions of Southern Californians. The Metropolitan Water District’s decision to fund up to 25.9 percent of the $17 billion California WaterFix, which would divert water from the West Coast’s largest estuary through two 40-foot-wide 35-mile-long tunnels, comes as a boost to a project beset by environmental and financial uncertainties. 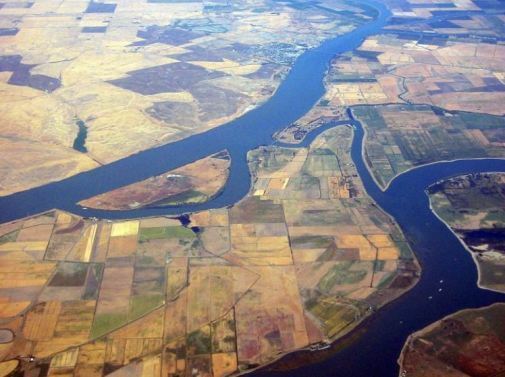 A No vote likely would have forced major changes to the controversial plan to replumb the Sacramento-San Joaquin River Delta. Most board members, some of whom attended a private meeting with Brown last week, agreed that the project is necessary to update California’s water infrastructure and prepare it for earthquakes and climate change. Brown’s last-ditch lobbying efforts before Tuesday’s vote paid off: After nearly three hours of public comment and discussion, the district voted 28 to 6 in favor of committing to the water project that could take up to 20 years to complete. Officials promised that Los Angeles-based Metropolitan Water District, which supplies water to more than 19 million residents, is fully committed to the mammoth public works project. “This is not intended to be a symbolic vote; this is intended to be an action vote,” said Jeff Kightlinger, district general manager. According to the district’s financial estimates, ratepayers in cities such as Los Angeles and San Diego could see rate increases of up to $3.10 a month. Kightlinger reiterated that the district has no plans to raise property taxes to pay for its share of the WaterFix. The vote brings new life to the tunnels after the state’s largest agricultural water supplier voted against paying for the plan. Last month the Westlands Water District unexpectedly voted to back out of the project due to concerns that the accompanying water cost increases would be too much for its 700 farms. Critics speculated that Metropolitan and other urban water suppliers would be on the hook for the farming district’s unfulfilled portion, and urged the district not to commit to the water project. Liza Tucker, advocate at Consumer Watchdog, said the Delta tunnels will have a disparately greater impact on low-income families and urged the district to focus on less expensive projects such as water recycling and stormwater capture. “It will be in the interest of corporations such as the Wonderful Company, Goldman Sachs … Coca-Cola and Anheuser-Busch, who are huge users of water in the state,” Tucker said of the district’s Yes vote. Environmentalists warned that the decades-old plan, which is still in the planning stages, would be the fatal blow to the Delta and its struggling salmon populations. The Sierra Club, the National Resources Defense Council, Restore the Delta and other environmental groups testified in opposition. Restore the Delta executive director Barbara Barrigan-Parrilla said that despite the water district’s affirmative vote, the project still faces a horde of lawsuits and doubted whether banks would sign off on the project. She cited a recent state audit that revealed that the project’s planning costs have skyrocketed to $280 million and that the state has yet to prove that the project is financially viable. “Many of the best minds that work in water in California will spend years fighting this project until it is stopped, instead of working with you to lead the way on water projects that will serve the public interest,” Barrigan-Parrilla testified. Southern California business and labor groups countered that the project would provide badly needed jobs and secure one of the region’s most important water sources. More than 30 percent of the Metropolitan Water District’s water comes from the Delta. Those are sure to be fighting words in Northern California, where people still remember what many consider the theft of water that turned the Owens Valley into a desert to provide water for Los Angeles a century ago. Just before the Tuesday vote, Los Angeles Mayor Eric Garcetti came out against the project. He told reporters in Sacramento that perhaps Brown, who has championed the tunnels during his final term, should pursue a scaled-back approach with just one tunnel. Several board members said they were open to discussing alternatives, but the board chair did not allow substitute motions or amendments to be introduced. Board member Mark Gold, representing Los Angeles, said he was worried about the project’s impacts on the Delta ecosystem, and reiterated the opponents’ financial doubts. “I still have tremendous concerns about the ability to pay for a two-tunnel 9,000-cubic-feet-per-second project with very uncertain cost impacts,” Gold testified. Three of Los Angeles’ five-member delegation voted against financing the plan and two San Diego County Water Authority members voted against it. Santa Monica’s representative cast the sixth No vote. The district is governed by 38 members from 26 water agencies, with larger cities holding more voting weight. While the district’s vote was the first major financing domino to fall, other key water districts have yet to pledge support for the WaterFix. The Kern County Water Agency and the Santa Clara Valley Water District have votes scheduled in the next week. “Metropolitan’s investment will provide water supply reliability for the region’s residents and economy,” California Secretary for Natural Resources John Laird said in a statement.